​Want to get some great help on choosing and preparing a Christmas tree? 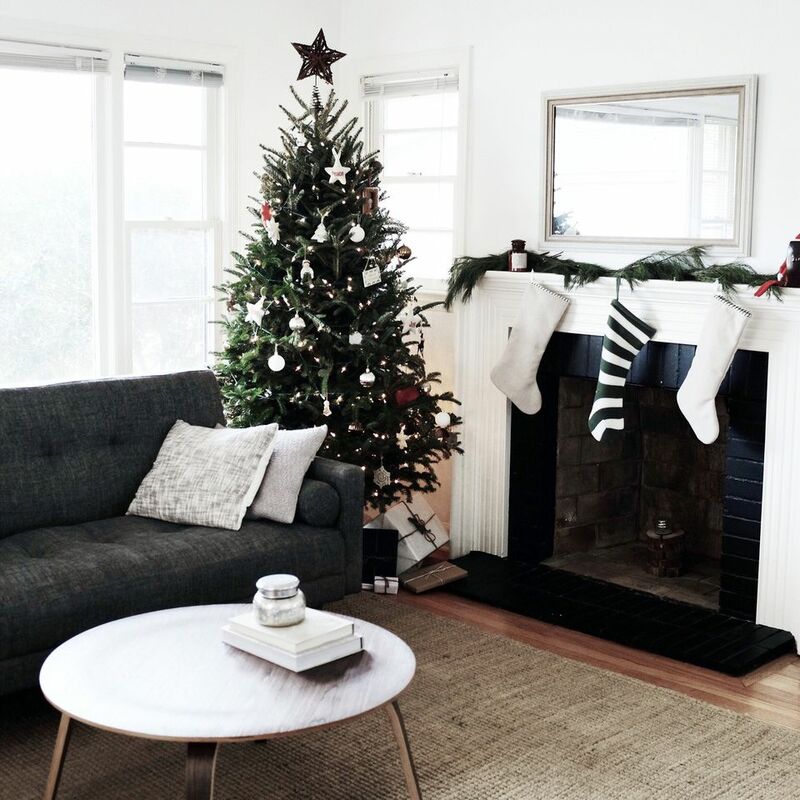 Use these tips and ideas for measuring, buying, and bringing home a pretty holiday tree. Decide Where to Place the Tree: Avoid placing your tree near a heat source (sunny windows, radiators, heating vents, and fireplaces). Try to keep the tree out of high traffic areas where it might be bumped or overturned, or where someone might trip on light cords. Avoid any spot that might be dangerous, such as next to a fire in the fireplace or up on a wobbly table. Measure the Space: Before you go shopping or hunting for that "perfect tree," you'll need to decide where it will fit in your home. See placement tips above, but once a spot is chosen to be sure to measure BOTH the ceiling height and the width of that space. Write these numbers down on a piece of paper. Also, measure your tree stand to determine the maximum diameter of the tree trunk you can use in it. Finally, measure the height of your tree stands as well as the height of your treetop decoration. Use all these measurements to determine the perfect height and width of the tree you'll select for your home. Take a Tape Measure With You: Take the tape measure with you when you shop. You'll need it to measure the trees you consider so you don't take home a 7" diameter tree trunk for your 5" diameter stand or a 99-foot tall tree if your ceilings are only 8 feet. Bring Supplies: Take heavy gloves to protect your hands and a tape measure to help select the right size tree. Find an old blanket to protect your car from pine needles and sap. Take twine or rope to tie it securely to the car (unless you know the tree lot will provide this). Locate a saw so a fresh cut can be made before placing the tree in water. Fill a bucket with lukewarm water so your tree can start drinking water as soon as it gets home and has a fresh cut. Find your tree stand (or determine if you'll need a new one) and set it up. Confirm the maximum tree trunk diameter that will fit into the stand. Pick the Right Tree Stand: Choose a tree stand that is sturdy and the right size. Pay attention to the size of the tree trunk that each stand will accommodate. The taller your tree, the bigger the diameter of the trunk. If you have a tall, wide room, be sure to get a large stand for the large tree you'll select. If you'll put your tree on a table, a smaller stand will work fine. Look for tree stand models that hold a lot of water. You'll spend less time refilling the water pan throughout the season. Get a stand that is easily adjustable so the tree can be leveled. Choosing a Tree: Evergreen trees with shorter needles (such as Fraser or Noble Fir) are often easier to decorate than others, as they offer some space between branches for decorations as well as some stronger stems to hold heavier ornaments. Learn more about the many types of Christmas trees and find out the characteristics and uses of each type. Look for Space Between Branches: Keep in mind that a tree looks better when the ornaments hang straight. Many trees today are groomed to be lush and full, so aware that ornaments may hang at an angle on these sheered trees. For ornaments to hang straight, you'll want a tree with some space between the branches. To test a tree, take an unbreakable ornament with you and hang it on several branches to see if there is room for it to hang straight. Select a Fresh Tree: How can you tell if a tree is fresh? The needles should look shiny, green, and fresh—not dry or brown. They should not fall off when you pull on a branch. Transporting your Tree: If possible lay the tree inside your car or trunk for the drive home. This will be difficult unless you have a large van or truck. If you drive with the tree on the roof of your car, you must tie it securely to the vehicle. You may want to wrap it in a tarp or old blanket. Make a Fresh Cut: Once you are home cut off at least 1/2" from the bottom of the trunk so the tree will begin to soak up water immediately. Get It the Right Height: Depending on your ceiling height, measure and cut more off the bottom of your tree, so it fits perfectly in your space. If you're not going to display the tree inside your house right away, stand it in a bucket of warm water in the corner of your garage, sheltered patio, or basement, out of the sun. Make Sure It Is Stable and Level: Your tree should stand perfectly vertical. If your carpeting is thick or uneven, you may need to put down a piece of plywood, so the tree stand sits on a flat, level base. Protect Your Floor: Place plastic or other waterproof covering on the floor where your tree will stand so you don't ruin the carpet or get watermarks on hardwood flooring. Place the Tree in the Stand: To keep loose needles off your floor, you may wish to get the tree in the stand outside. Whether you install it inside or out, you will need to tip the tree on its side and tighten the leveling clamps of the stand around the base of the trunk. Next, with help, lift the tree to a standing position, being careful not to damage the feet of the tree stand. Then make any needed adjustments in vertical alignment, so the tree stands straight. Finally, carry your tree (with the stand attached) inside and into the room it will live in and fill the water reservoir of the stand with water immediately. Secure the Stand to a Base: If you have a very large tree or are worried about it tipping over, you should try to attach your tree stand to a large, flat piece of plywood before you put the tree in the stand. This will broaden the base of the tree and give it stability. Adjust the Top: You may need to make small adjustments on the top of your tree, depending on your ceiling height and the type of ornament (angel, star, etc.) that will be placed on the top. If your tree is too tall, clip away any stray branches that may be in the way, but avoid chopping off the tallest vertical branch if you can. This is usually a stiff branch and will be a steady foundation for the tree top decoration. Use any clippings you may have to decorate your mantle or to make a centerpiece. Trim Any Straggling Branches: If any of the lower branches look imperfect or hit the furniture or walls, trim them off. Try to trim at an angle that is about parallel to the floor, so cuts are less noticeable. Use these extra boughs and branches to decorate your mantle or table, keeping them in water until you arrange them. Water, Water, Water: Are we getting my point across? Always keep your fresh tree in a stand that holds lots of water. Check the water level daily. For the first few days, you may even need to refill the water every few hours! (Set a timer to remind you to check it.) After about a week the water intake will slow down, and daily refills should be fine. Water, or more: Plain water is all you need to keep your tree fresh. But there are water additives and sprays you can purchase that promise to keep trees fresh longer. Ask about them where you buy your tree, or at a local garden center. How to Water: The best way is also the hardest way. You'll need some towels, a water jug, and some patience. Climb in close to the tree stand. If you can't see the water level, place one finger into the water reservoir and begin to add water slowly. (A watering can with a long spout is helpful.) Stop adding water when you feel the water on your finger. Wait a few moments to make sure no water leaks onto the floor. Secure It: If you have children or pets running around and are concerned about them knocking the tree over, be sure to secure it to a wall or a stable piece of furniture. Tie it securely in several places with fish line, twine, or cording attached to small eye hooks. Be sure that the tie lines are out of reach and won't pose any danger to children or animals. Decorate: Whether you choose to decorate with a specific theme, or trim your tree with a cacophony of old and new ornaments, your evergreen is sure to look fantastic. When Christmas is Over, Recycle: Call your waste management company or city hall to find out how to recycle your tree for mulch. Do Not Burn Your Tree! : You should never burn your Christmas tree or branches, as this could present a severe fire danger. Dispose of your tree according to local regulations via trash collection, chipping for mulch, or recycling.